Today I discovered Home Away from Home featuring our very own cottage in some of their Facebook ads. No wonder we are sold out through August. And yes, we did find a number of minor things when our first few guests came by. However, we have great reviews on Airbnb, HomeAway and our own guest book, so my goal and dream is being realized. It is so lovely to host guests from around the country and around the world. I love to see how they plan and explore the trails of Yosemite, despite the summer crowds, a brief landslide, a nearby fire and lots of parking problems if you get up late. But it is a big and wonderful park with still plenty of snow at the higher altitudes feeding the waterfalls in a spectacular fashion. 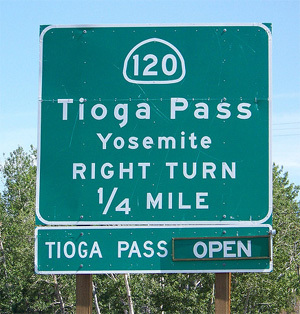 Even Tioga Pass Rd across the top to Nevada is now open, despite what Google says. Can you imagine how much snow was at the top (4 stories high) that it took till mid June to dig the road out for the season.